We are Bulk Formulators of Zyme Granules. We formulate granules as per the customized requirement of party with different types of ingredients. These are Blank Granules formulated with Bioactive substances which plays an active role in plant growth. It works as a natural chelate and stimulate uptake of nutrient in plant and also enhances the micro flora of soil. Zyme itself may or may not be a nutrient. 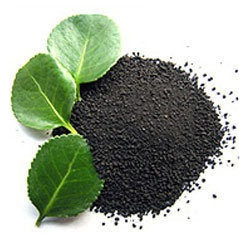 It enhances the activity & uptake of other fertilizers when applied in the combination therefore, it is recommended to use it with other regular input. General Ingredients: Macro & Micro nutrients, Enzymes, Amino Acid, Seaweed extract, Hormones, Vitamins, Bio Fertilizers, botanical extracts, Humic and many such other ingredients.